Share all file types in WhatsApp and delete compression! Using WhatsApp you can share a lot of documents, but there are some limitations. Actually it’s possible to share these file types only: csv, doc, docx, pdf, ppt, pptx, rtf, txt, xls and xlsx.. but following this guide you will be able to share any file or photos/videos without be compressed. • This procedure works in latest WhatsApp for iOS version (2.17.31). 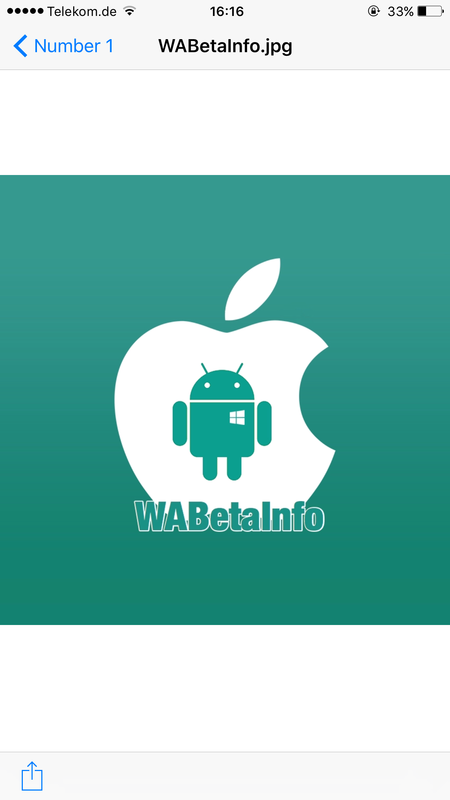 • In order to send files using WhatsApp, you have to download an application from AppStore: its name is Document 6 (tap here to download it from your iOS device). 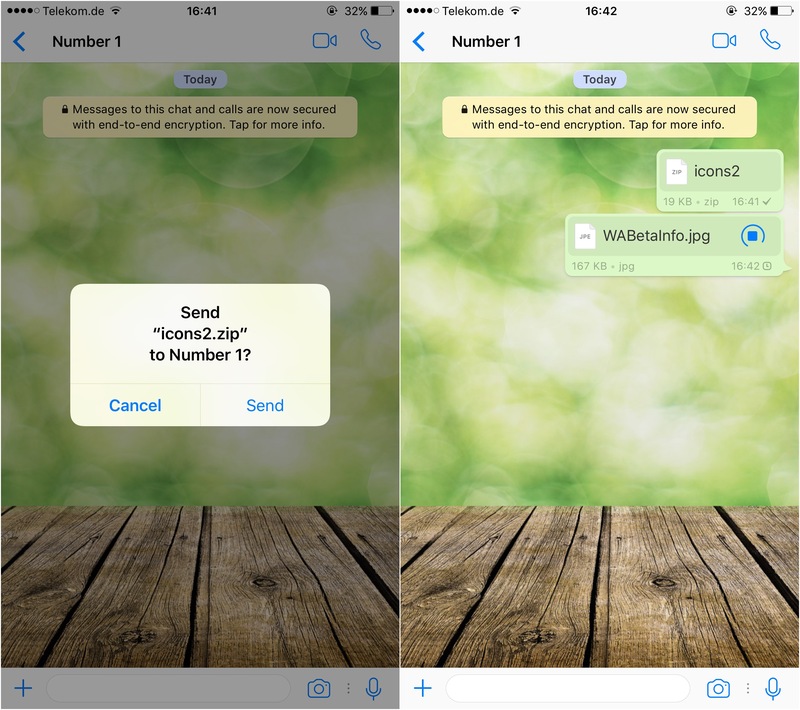 • Import the file, the photo or the video that you want to share with WhatsApp, in Document 6. Remember that you can also add in Document 6 other accounts, for example Dropbox and Google Drive: this action will help you to quickly select files you want to import into Document 6. • Open the chat where you want to send it, tap +, then select Document and choose Document 6. Note that if you don’t see Document 6, see into Manage Positions. 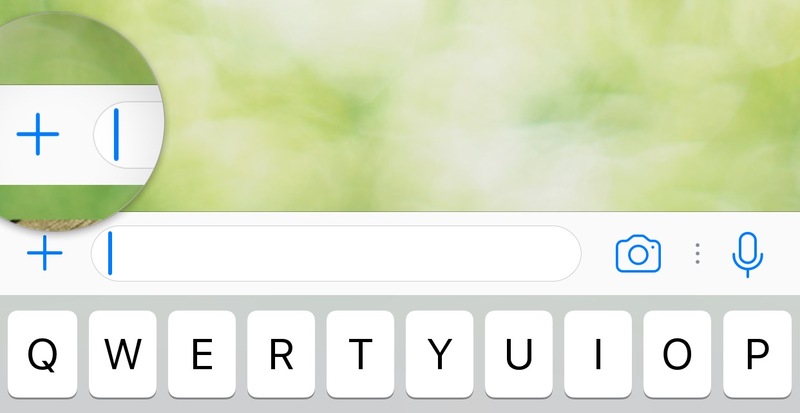 When WhatsApp will open Document 6, you can choose your file, and WhatsApp will correctly send it! 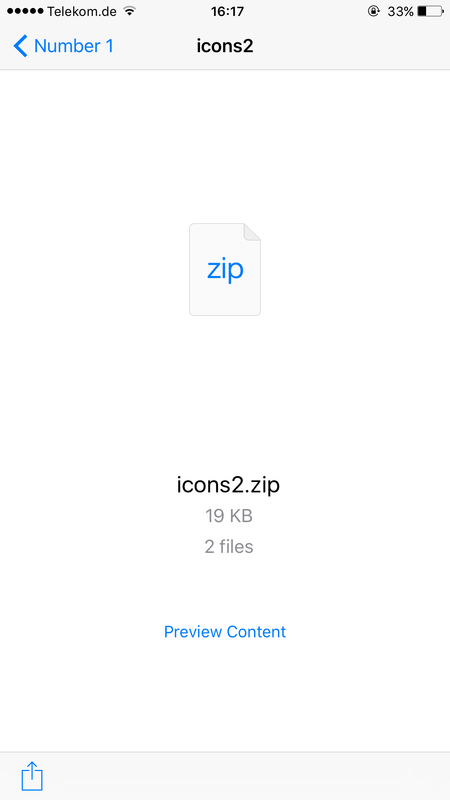 Using this method, you can send any file (max 128MB), for example ZIP, RAR, EXE, APK etc..
Then, if you select a photo or video in Document 6, it won’t be compressed because WhatsApp will send it as file. Amazing! 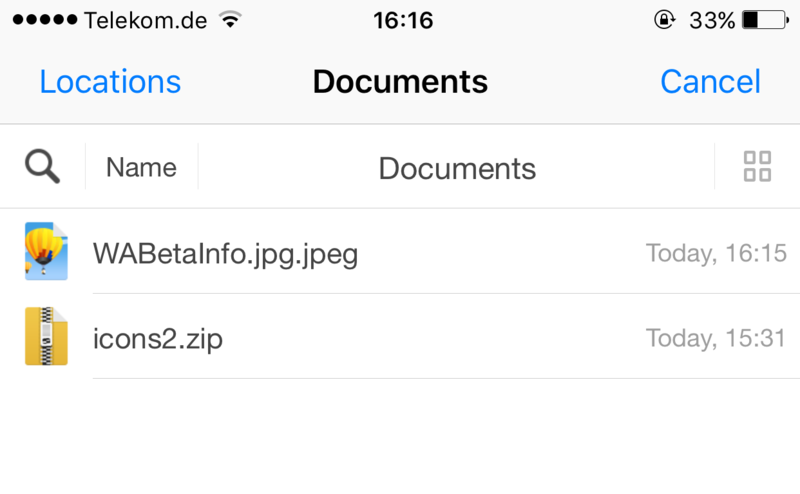 • WhatsApp natively supports files sharing, but it is disabled by default: using Document 6, you can bypass the control. • The user that will receive the file (that has Android, iOS, WP, Desktop etc..) will be able to correctly view, export and forward it. 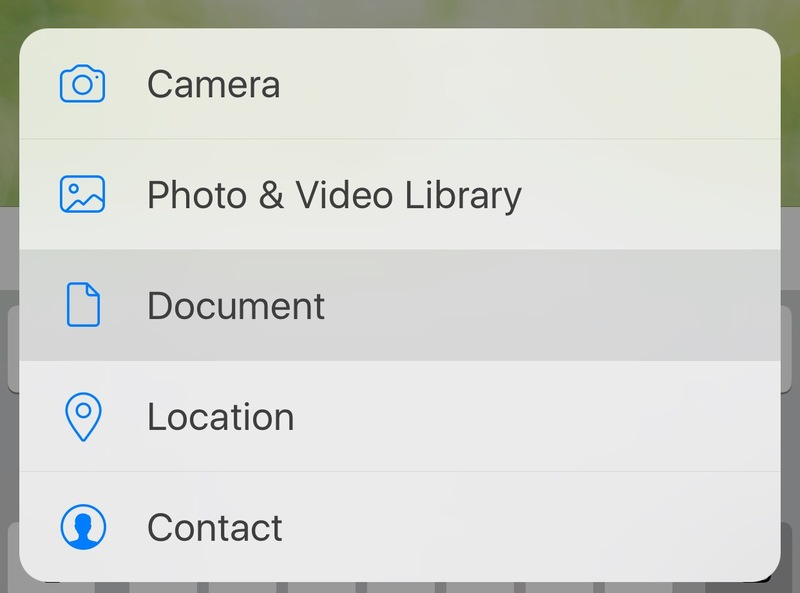 In fact, WhatsApp has a feature that allows you to view the content of archives, so the recipient doesn’t need to have Document 6 in order to open the file. And, obviously, this works also for viewing photos and other media files. Photos and videos shared using this method won’t be compressed. Previous PostPrevious WhatsApp beta for Android 2.17.227 and .224: what’s new? 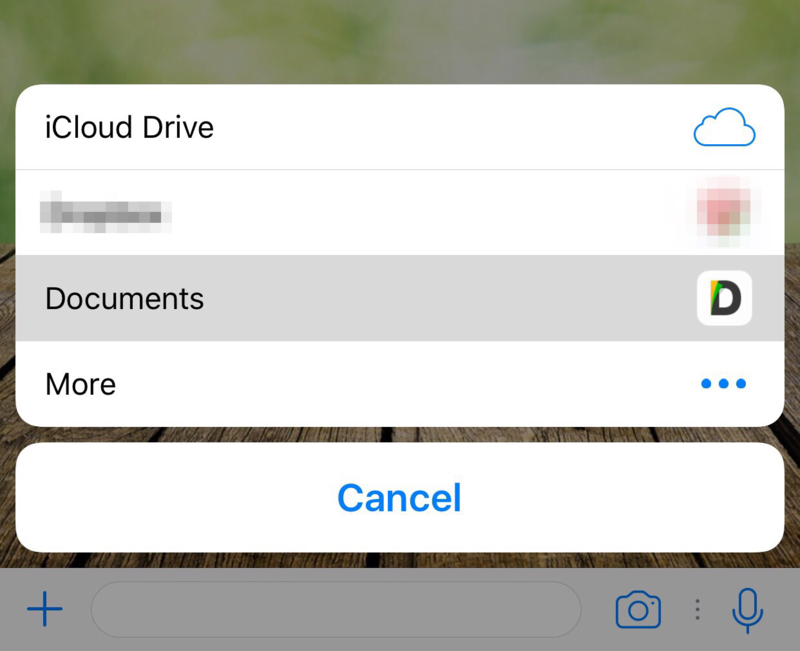 Next PostNext WhatsApp is rolling out sharing of all file types!